"Novelist Chimamanda Adichie tells the story of how she found her authentic cultural voice -- and warns that if we hear only a single story about another person or country, we risk a critical misunderstanding." In addition to our biases/misunderstandings, it is also important to recognize how we can send hidden messages to our students by the content we select, what and who we use as examples, language we use or don't use, etc. This classic video by PBS demonstrates the effects that can come from being a minority. While it is very dated, it is still a great resource for educators and students. You can find the original clips along with supplemental resources here. Enhancing Content Literacy in Physical Education. Buell, C., & Whittaker, A. (2001). Teaching Secondary Physical Education to ESL Students. Glakas, B. A. (1993). Academic Language: The language students need in order communicate effectively about a subject. English Language Development (ELD): Classes designed to assist English Language Learners. English for Speakers of Other Languages (ESOL): English language classes designed to help those who's first language is not English. ​English Language Learner (ELL): A student who is the process of acquiring the English language and whose first language is not English. ​Limited English Proficient (LEP): Another term for an English Language Learner student. Sheltered Instruction Observation Protocol (SOIP): An instructional model developed to facilitate high quality instruction for ELLs in content area teaching. Specially Designed Academic Instruction in English (SDAIE): Teaching strategies for teaching academic content to English Language Learners. Establishing a link between the students prior knowledge and the material. Think-pair-share, quick-writes, and anticipatory charts. Familiarizes unknown concepts through direct experience. Demonstrations, media, manipulatives, repetition, and local opportunities. Providing students with skills and vocabulary to talk about their learning. Self assessments, note taking and studying techniques, and vocabulary assignments. Speaking slowly and clearly, modeling the language you want students to use, and providing samples of student work. Helping students see the relationships between various concepts. Compare and contrast, jigsaw learning, peer teaching, and projects. Inviting students to extend understandings of text and apply them in a new way. Student created drawings, videos, and games. Know who your ELL students are and their proficiency in English. This can be obtained from the ESOL/bilingual teacher, guidance counselor, social worker, or administration. You can also informally identify ELLs by watching for students who wait on others to move first and then copy what they are doing. It is important to note that their proficiency in listening, reading, speaking, and writing will vary within each student. Assess and utilize the background knowledge of your students; use bilingual students as helpers. As with all your students, set high expectations. See this video on the power of expectations. Embed multicultural education throughout the curriculum, as opposed to a "Heroes and Holidays" approach where other cultures are only mentioned on "special" days. Learn to pronounce student names correctly to help develop rapport. If you are not sure, ask. Utilize technology such as class websites, blogs, and videos. Utilize structured note-taking formats (ie. graphic organizers) and teach viewing comprehension strategies. Utilize classroom routines and play music whenever possible. Allow students to use their native language when needed. A review of literature shows that supporting ELL students' use of their native language helps them comprehend and learn English. It develops greater brain density in areas related to language, memory, and attention (Moughamian et al, 2009; Protheroe, N., 2011). Slow down your speech; use shorter sentences, present tense, synonyms, examples, gestures, and demonstrations. Avoid expressions or sayings that are only common in the United States. Use as many mediums as possible to convey information: oral, written, videos, teacher demonstration, student demonstration, etc. Use think-alouds and think-pair-shares when asking questions, and don't forget to give students enough time to process the question. Use bilingual handouts and cues. Use metaphors and imagery for cues. Create print-rich environments using bulletin boards, posters, dry erase boards, portable white boards, asphalt paint, etc. See this article "6 Strategies to Create a Print Rich Environment" for helpful tips. 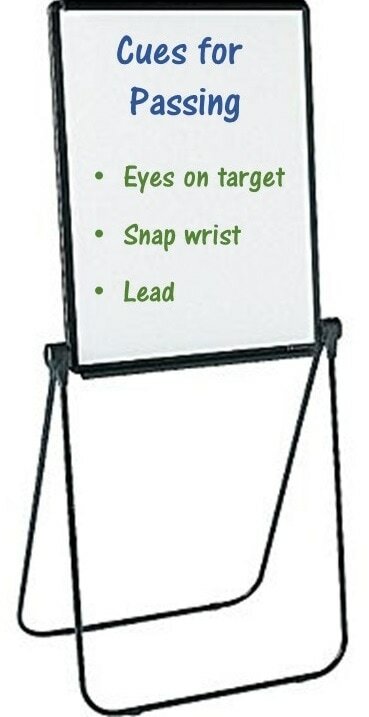 Use visual displays, portable white boards, and posters when giving instructions. 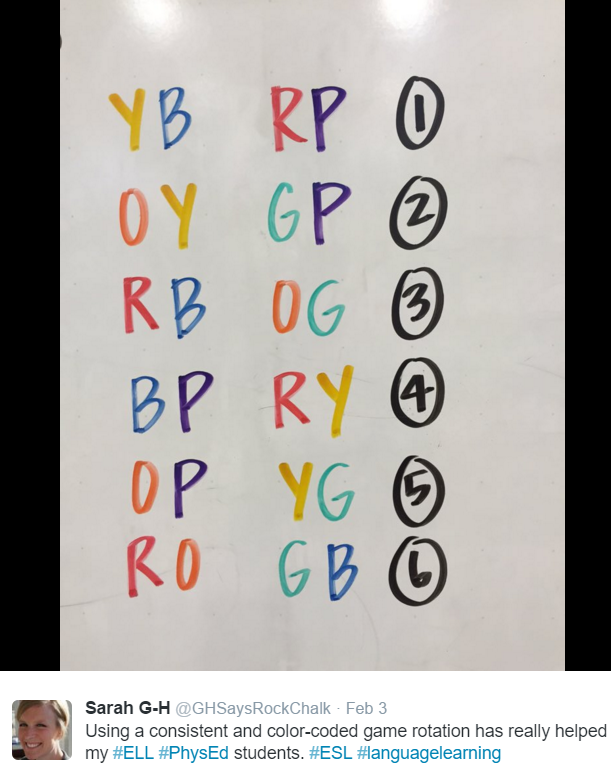 Create and display word walls (displays of high-frequency words for a unit, arranged alphabetically). Assign quick writes, word sorts, and journal entries. Use learning stations that reinforce previously taught concepts and skills. 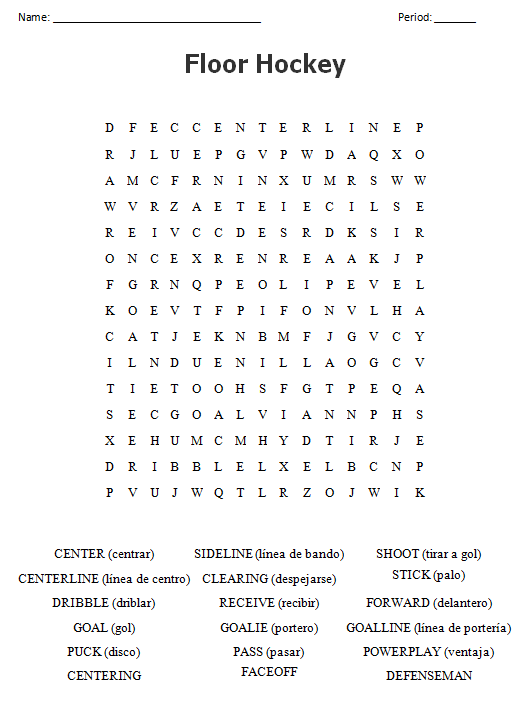 Introduce vocabulary in a fun way such as a Word Search or Crossword. Have students create new games. Use cooperative learning such as jigsaw learning and peer observations. Use task cards with written and visual information. Use newspapers, magazines, and web sites in assignments (utilize your librarians). Avoid testing exclusively in English since students may not be able to demonstrate their learning in a second language. Provide sentence frames where appropriate. Create handouts in multiple languages using Google Translate and/or other ELL students in your classes.